LimiFrog-v1 arose from the La BlueFrog board. LimiFrog-v1 contains the first hardware revision of that kickstarter project. LimiFrog-v2 is already there and the RIOT support will follow. 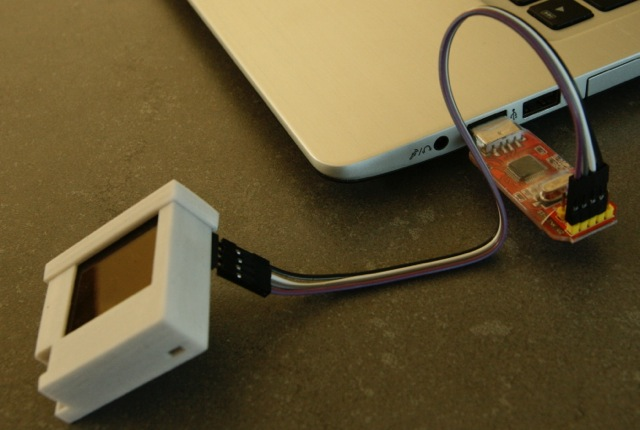 LimiFrog features a variety of sensors as well as an OLED Display and a BLE (Bluetooth Low-Energy) module. The LimiFrog-v1 has no on-board programmer nor an USB-UART converter. It can be programmed by using the integrated ST-Link/V2 programmer of any STM32Fx- discovery board. See Hardware section here for an example. Another way is to use a stand-alone ST-Link V2 programmer as shown in the picture. 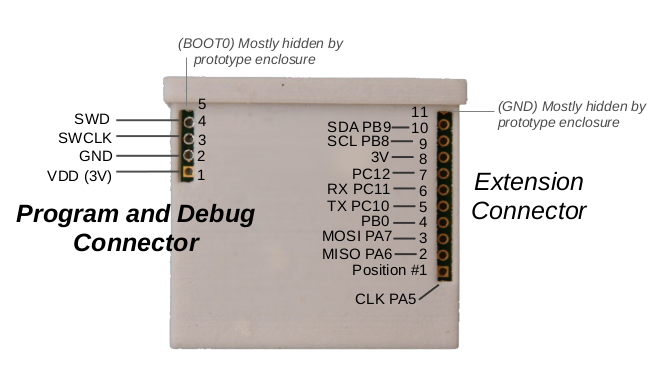 To debug the device you may also want to use a stand-alone UART converter and connect it to the pins PC10 and PC11 and keep the programmer plugged. Board specific definitions for the limifrog-v1 board.